Fr Andrew Downie is the Catholic Chaplain to Durham University from Michaelmas Term 2016. Fr Andrew is a native of Sunderland; he studied Natural Sciences at the Cambridge and later qualified as a solicitor. He trained for the priesthood at the Venerable English College, Rome, where he gained a Licence in Fundamental Theology from the Pontifical Gregorian University. 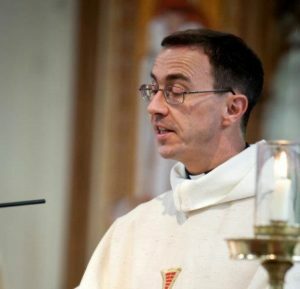 Ordained priest in 2002, Fr Andrew has served as Vocations Director for the Diocese and Chaplain at the Universities of Newcastle and Northumberland. Before coming to Durham he was Parish Priest in nearby Consett.